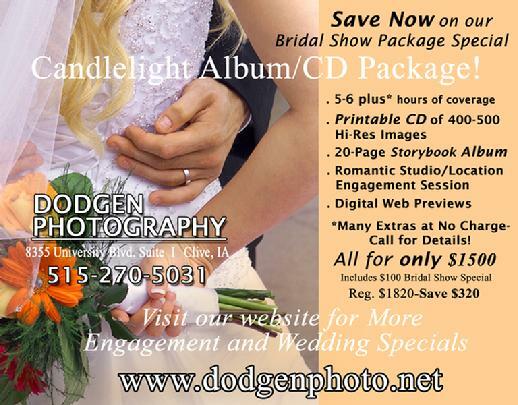 Dodgen Photography - Portrait and Wedding Photographer in Des Moines, Ia. Specializing in wedding photography, family portraits, senior portrait photography, pet photography, model portfolios, headshots, and commercial photography. Dodgen Photography. Portrait and Wedding Photographer in Des Moines, IA.